Boca Raton FC today have announced the club’s squad for the First Round of the US Open Cup which will be played on May 10. The US Open Cup is in the 104th year of competition and Boca Raton FC’s opponent will be announced by US Soccer later today, along with potential Second Round match ups. If Boca Raton FC advances past the first round the club will matched up against a USL or NASL team. Clubs from Major League Soccer will enter the competition in Round 4. As has been the case now for several years, match ups in Rounds 1 through 4 are determined geographically. 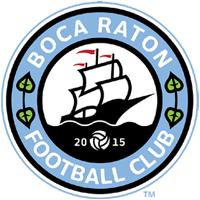 Boca Raton FC has the potential to meet in-state pro rivals Jacksonville Armada FC, Tampa Bay Rowdies or Miami FC beginning in Round 2 and Orlando City SC beginning in Round 4.